While the Philippines needs to strengthen its law enforcement capacity, it will also benefit from building on its rich well-crafted environmental policies with a new model of environmental governance focused on well-being and guided by principles of sustainability, ecosystem health, precaution, interconnectedness and inclusiveness. Read on to find out more about how Earth Law Center and Philippines Earth Justice Center partner to advance the Rights of Nature movement, specifically how to incorporate the Earth Law Framework for Marine Protected Areas (MPAs) into the country’s National System of MPAs. The Philippines is one of 18 mega-biodiverse countries of the world, containing two-thirds of the earth’s biodiversity and between 70% and 80% of the world’s plant and animal species. The Philippines ranks fifth in the number of plant species and maintains 5% of the world’s flora. Species endemism is very high, covering at least 25 genera of plants and 49% of terrestrial wildlife, while the country ranks fourth in bird endemism and considered to host the most number of marine species in the world. The Philippines is also one of the world’s biodiversity hotspots with at least 700 threatened species, thus making it one of the top global conservation areas. The Coastal Governance Index  ranks the Philippines 7th out of twenty maritime countries across the globe for its good track record of well-crafted environmental laws. While some current proponents of constitutional change include proposed environmental rights in its bill of rights, the current Philippine Constitution promotes a right to a healthy environment. The 1987 Philippine Constitution  provides that the State shall protect the nation’s marine wealth in its archipelagic waters, territorial sea, and exclusive economic zone, and reserve its use and enjoyment exclusively to Filipino citizens. The same Constitution provides that the State shall protect and advance the right of the people to a balanced and healthful ecology in accord with the rhythm and harmony of nature. It also provides for the protection of the preferential rights of subsistence fishers and local communities in the use of inland and offshore fishing resources and provides for support in the conduct of their livelihoods. With regard to integrated coastal management, 75 related major laws/policies have been enacted and national programs implemented (from 1800s to 2018). These include the landmark legislations on local government code; a fisheries code; an act on national protected areas system; a national biodiversity strategy and action plan and a proclamation on the establishment of Benham Rise Marine Reserve. These laws and policies, among other outcomes, allowed for local government and communities to better manage their natural resources, especially in coastal areas; increased the areas for critical habitat and protected areas; provided the roadmap for biodiversity protection and management and established the largest and biodiversity-rich marine protected area. Beyond the work of Filipino legislators, these environmental laws materialized due to many outstanding environmental law practitioners and an active civil society organizations. In 1993, Atty. Antonio Oposa Jr. represented 43 Filipino children who initiated an action against the Philippine Government for the misappropriation of the country’s forest resources. Despite being dismissed at trial court, Oposa took it to the Supreme Court who upheld the legal standing and the right of the children to initiate the action on behalf of generations yet unborn - establishing the “Oposa Doctrine” as it is known now in Philippines and global jurisprudence. 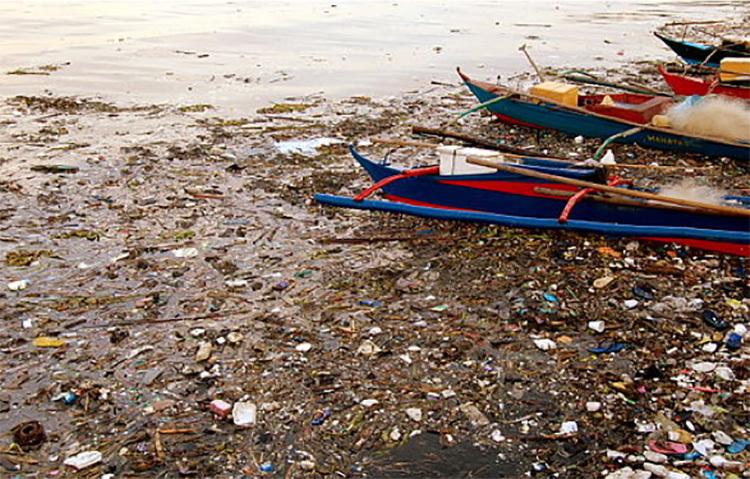 Oposa also waged a ten-year legal battle against eleven government agencies to clean up Manila Bay, ultimately winning a decision from the Supreme Court who ordered the offending agencies to clean up Manila Bay. Attys. Gloria Ramos and Rose Liza Eisma-Osorio defended the rights of marine mammals to a healthful ecology in Tanon Strait preventing a mining company from oil exploration in the Strait in a precedent setting Supreme Court decision in 2015. They are currently exploring a specific Earth Law initiative with Earth Law Center which seeks to incorporate the principles of the Framework for Ocean Rights. Many lower court cases can bring additional optimism in this era of pessimism. Residents of Bantayan Island, Cebu sued and won to protect their coastal areas from tourism business that violates environmental laws. Atty. Gloria Ramos gained (and later extended) a Temporary Environmental Protection Order (TEPO) to stop a local coal power plant from transporting toxic coal combustion residuals outside premises. Concerned Citizens of Iligan City and the Center for Alternative Legal Forum and Injustice Inc jointly filed for and won a TEPO to prevent illegal logging. While environmental lawyers and activists continue to fight against environmental violations, other members of civil society organizations also seek to implement innovative solutions towards a more just and sustainable environment and society. Pioneering environmental NGO, Haribon Foundation, founded in 1972, has sparked the environmental movement through its research and advocacy work for Critically-Endangered Philippine Eagle which through the years expanded the work into national protected areas system, threatened species and community-based and local government led conservation and resource management. In 1999, it organized a national network of fisher-MPA managers called Pamana Ka Sa Pilipinas from 122-MPA-member sites across the country which became an important national player in advancing the cause of small scale fisheries and marine conservation. International NGOs like Oceana-Philippines while working for fisheries reform, was one of the leading catalysts in the presidential proclamation of Philippine Rise (Benham Rise) into a largest marine reserve in the country. A growing number of universities now engage with government and NGOs towards building a more sustainable environment and development. University of the Philippines and other leading universities are active not only in its knowledge generation but leveraging impact by influencing environmental policy and advocacy. The church is also active in its campaign for a more just and sustainable communities. It is quite common for Catholic priests and lay persons to lead environmental campaigns and advocacy against coal mining and other environmental violations across the country. Yet despite all this activity, the country’s natural ecosystems and species continue to suffer. In a country level study, 59 fish names were identified to be at risk of local extinction, with large and slow-growing reef fishes such as Giant Grouper, Bumphead Parrotfish, Humphead Wrasse, declining as much as 88% in catch since the 1950s due to overfishing and vicious cycle of poverty. This is aggravated by impacts of climate change and habitat degradation. In a national survey of coral reefs, it was reported that there is a marked decline in hard coral cover across the country since the 1970s, with loss of reefs in excellent condition and more than 90% of the reefs in poor condition. No wonder a typical old Filipino fisher, during our interviews with them across the country would say: The present fishers’ catch for one month is nothing compared to our fish catch for just one week. Coupled with the alarming rate of biodiversity loss is the continued discoveries of new species which all the more fortify the position for a more strengthened environmental governance and enforcement. From 2005 to 2012, there were 151 new species of birds, mammals, reptiles, amphibians and plants discovered. In Luzon alone, there were 300 new species discovered in 2011 by California Academy of Sciences. While the national government of the Philippines has been addressing climate change and environmental challenges, inconsistencies abound such as the continued government’s permission to mine coal despite local governments’ and communities’ opposition in many cases. Continued logging in natural forests and rampant overexploitation of wildlife continue to threaten native ecosystems and species while enforcement of environmental protection laws remains weak. So despite the successful establishment of a host of environmental protection laws, the ecosystems and species of the Philippines remains imperiled. Earth Law or earth jurisprudence, including Rights of Nature, could help strengthen and evolve the current legal protections of nature in the Philippines. Earth Law is an ethical framework that recognizes nature’s right to exist, thrive and evolve - enabling nature to defend these rights in court, just like corporations can. Earth Law has theoretical origins in 1970s but since 2006 when the first Rights of Nature legislation was implemented in the US has been gaining strength through constitutional provisions or national law (Ecuador, Bolivia) and local ordinances (New Zealand, India, Mexico and in three dozen US cities and municipalities). Since 2003, a series of government laws and policies establishing ICM as a national strategy to ensure sustainable development of the country’s coastal and marine environment and resources and including guidelines for its implementation, has been issued. In 2016, a Senate Bill to strengthen the adoption of ICM as a national coastal resource management strategy has been filed. ICM-related policy issuances emphasized that ICM covers all coastal and marine areas, addressing the inter-linkages among associated watersheds, estuaries and wetlands and coastal seas by all relevant national and local agencies5. This means that the management approach should encompass forest, river and marine areas due to their interconnectedness. This can easily be seen in impacts of land- and sea-based human activities such as agriculture, deforestation and overfishing. [15, 16, 17] Because of ICM’s integrative characteristic consistent with the principles of RoN, ICM is used here to show common principles applied to both RoN and ICM. According to government-issuances on ICM, among the identified elements of ICM programmes across socio-ecological systems, are the establishment and management of marine protected areas and its networks. Thus MPA and MPA network programmes sit well within ICM programmes and both have principles consistent with RoN. While many will argue that legislating for RoN may not yet be timely for the Philippines due to its current political climate, poverty-related social and environmental problems and the country’s low score in enforcing the law ; but it cannot be denied that the country is also laden with seeds of hope that can germinate into an Earth Law regime and bearing fruits from its future Rights of Nature legislations and implementation. While we embark on this process with realistic optimism, environmental lawyers and activists and other civil society organizations are enjoined to continue to optimize the use of existing environmental rights constitutional provisions and other related environmental laws and policies towards a just and sustainable Philippines. How Can You Help Crystallize an Earth Law Regime in the Philippines? 2. Carpenter and Springer (2005) The center of the center of marine shorefish biodiversity: the Philippine Islands. EnviBio Fish, 72: 467-480. 12. Licuanan AM et al. (2017) Initial findings of the national assessments of Philippine coral reefs. Philippine Journal of Science, 146(2): 177-185. 16. Reed et al. (2017) Have integrated landscape approaches reconciled societal &environmental issues in the tropics? Land Use Policy 63: 481-492. 17. Oleson KLL et al. (2017) Upstream solutions to coral reef conservation: The pay-off of smart and cooperative decision making. Journal of Environmental Management, 191: 8-18.